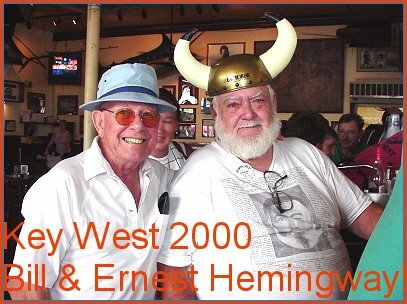 Here I am in Key West in July 2000. This weekend was Ernest Hemingway LOOK-A-LIKE days! I did not win, but this big guy did win a few years ago. Now he comes back each year to judge the wannabes! This is the famous Sloppy Joe's Bar where Hemingway used to hang out.